Up to 18 people with learning disabilities could be moved out of costly residential care in a Milton Keynes Council bid to save £380,000. All the people have been living in "high cost residential care" for "many years" with some of those with the "most complex needs" placed miles away from the city, council budget papers say. A report to the council's Budget and Resources Scrutiny Committee earlier this year said: "It is believed that of the 18 service users identified there is a potential saving in total of £380,000, however more resources would be required in order to carry out the reviews and assess if a move will benefit the service user through having more independence etc." The council's budget for 2019-20 is being considered at a meeting of the ruling Cabinet on Tuesday, February 5, with an item outlining the need for a one off investment of £100,000 to potentially realise the savings. However, the budget item is flagged as one that will be difficult to deliver. The Cabinet is due to consider a raft of other cost savings in a bid to slice more than £5million from its budget in 2019-20 as the council bids to make up for big reductions in the Revenue Support Grant from central government. The council report highlights the sensitivities of trying to persuade the service users and their families to accept the need to move. It reads: "Work to support people to move from residential care to a tenancy with support is complex and requires careful work undertaken sensitively with the service user and their family. "There may be some resistance to such a move particularly where an individual is considered to be well settled and in a "home for life". "It may take some time to move from a residential package to a supported living package as they are not readily available and the social workers will want to ensure that the new setting is suitable and compatible to ensure the change is as smooth as possible. "There is also potential for families to object to a proposed move if they want them to remain in the current setting." 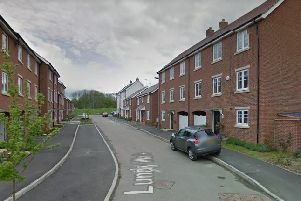 It is open for families to make a challenge through the Court of Protection but the council report added that this is "unlikely to affect the whole project." The council will be monitoring the progress of the scheme.